In May 2015, the University of Nebraska–Lincoln planted two Flower of Kent trees on the west side of Jorgensen Hall, home of the Physics & Astronomy Department. Landscape Services cloned the two trees from the original Flower of Kent tree granted to the university in 1991. 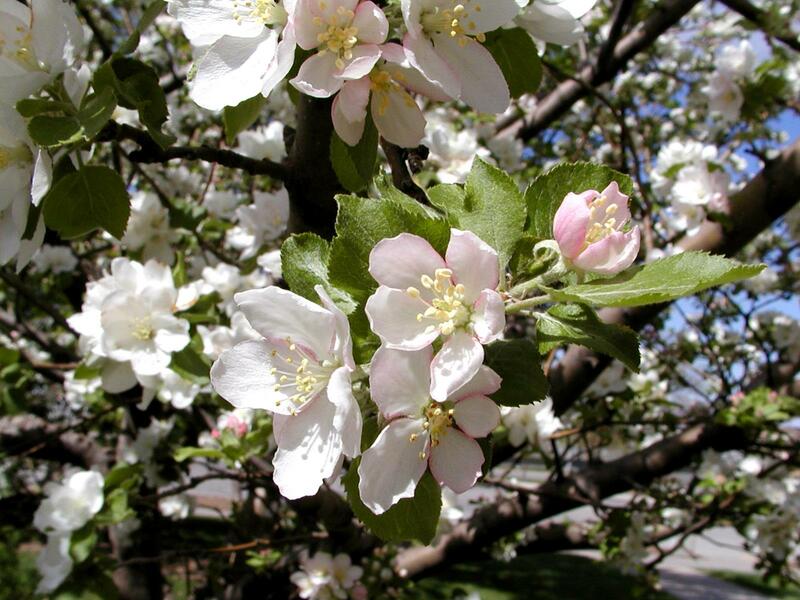 Also called Newton’s Apple Tree, UNL's first Flower of Kent tree can be found on the southwest corner of Behlen Observatory. Nebraska received its Newton’s Apple Tree thanks to Edward Lyman, retired Lincoln-area physician, and Joseph Young, a retired UNL horticulture professor. 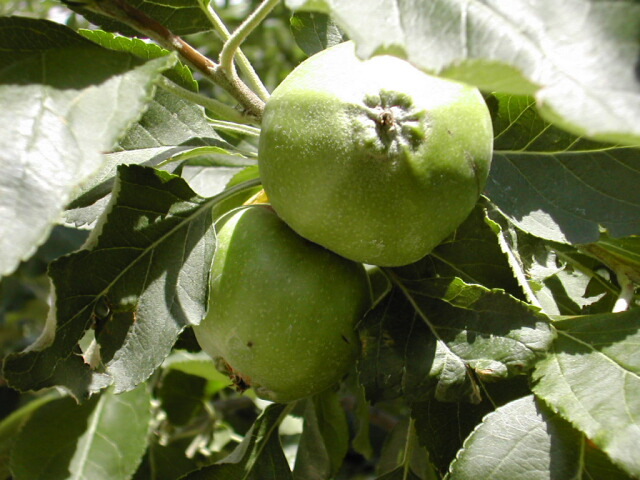 Lyman and Young reached out to University of York professor Dr. Richard Keesing, who had researched the apple tree’s history. Keesing found an apple tree on Isaac Newton’s home estate in Woolsthorpe, England which closely resembled the legendary tree that inspired Newton’s law of gravitation. A graft of Newton’s Apple Tree was brought to York, and then a cutting from that tree was transported to the US and planted next to Behlen during a ceremony on April 4, 1991. Read an article from our Spectrum alumni newsletter about the original Newton's Apple Tree and how it became a part of our department. Visit the University of York physics department website to learn more about Dr. Keesing's research on Newton's Apple Tree. Professor Anthony Starace and Newton's Apple Tree were recently apart of a Nebraska Stories segment run by NET Nebraska. Check it out here. 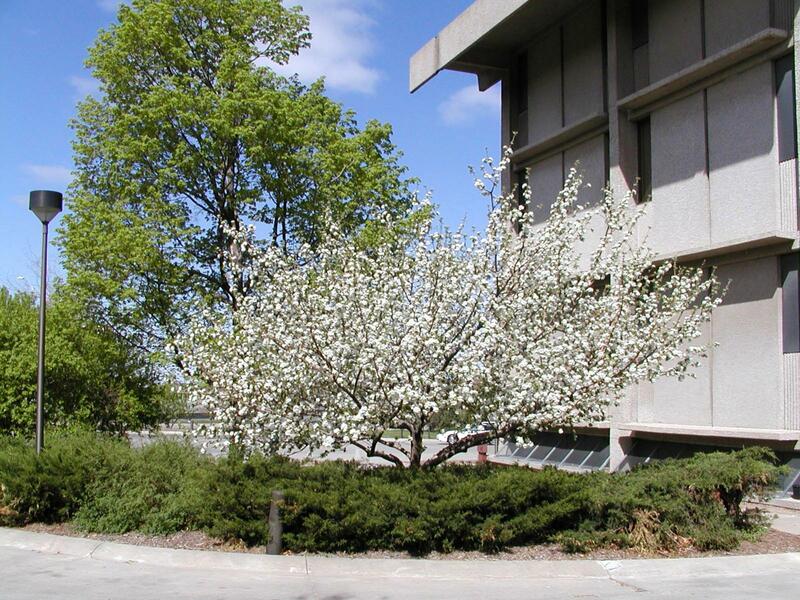 Plaque near Behlen Laboratory describes the history of UNL's first Flower of Kent apple tree. 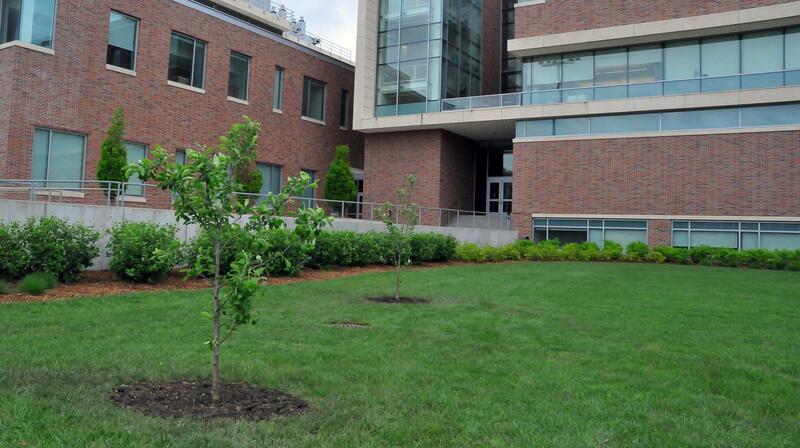 The first Newton's Apple Tree stands on the southwest corner of Behlen Laboratory.